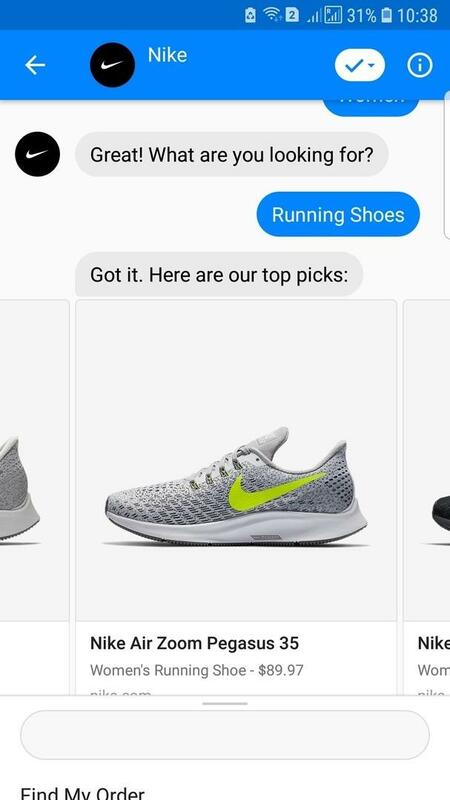 Most of the world-famous brands have already started using Messenger chatbots in order to facilitate communication with their target audiences and to increase sales. They have achieved great results and proved that this digital marketing tool can take content strategy to the next level. Messenger chatbots are a brand new channel of communication, which is more personal than ordinary email, but at the same time even more targeted than Twitter. If you are struggling to find a solution which will help you to boost your marketing efforts, you should learn more about this kind of chatbot. 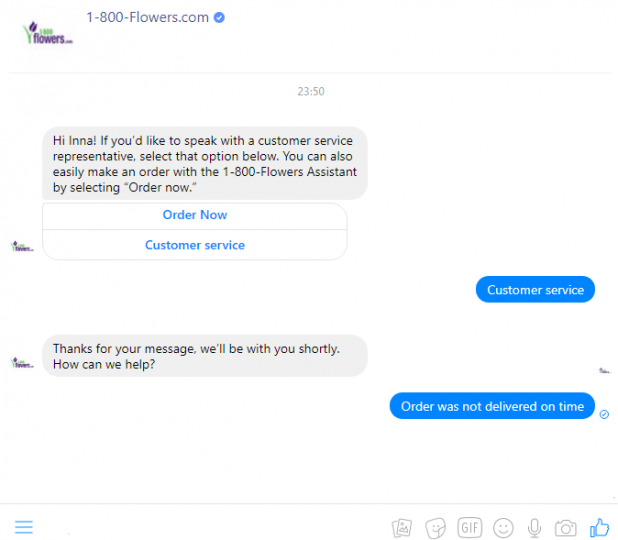 What Are the Benefits of Using Messenger Chatbots? Content marketing strategy should be an integrated part of the global strategy of your company. And as you know, all processes are tightly interconnected, so by improving one area of your business, you boost overall productivity. 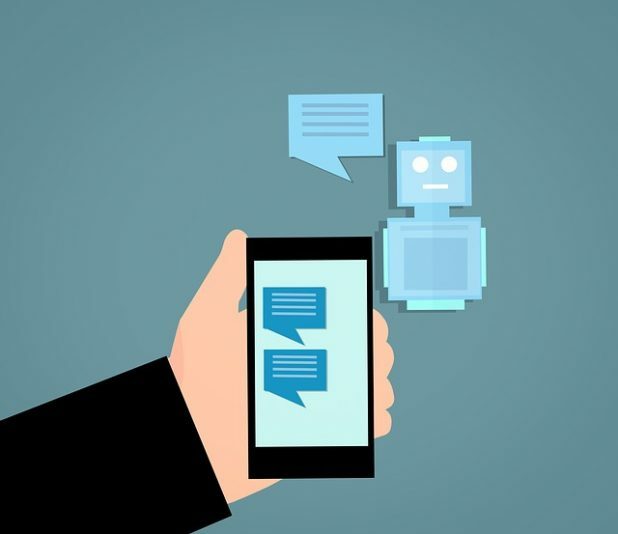 For this reason, choosing a chatbot as a new channel of communication and content distribution will modernize your approach to customer service. You can start by changing methods of order placement, issues resolution and subscriber list creation. The point is that even if you have a great website with perfectly crafted product descriptions, this is not enough to convince a visitor to place an order. When it comes to online shopping there is always a lack of communication between the customer and your company. A Messenger chatbot is a magic wand which you can use to solve this issue by providing your clients with real-time support. You should start from the very first contact with your clients to improve the process of order placement. You should design a chatbot which serves a client in the most polite and professional way. Your primary goal is to make online shopping feel more like an offline one. 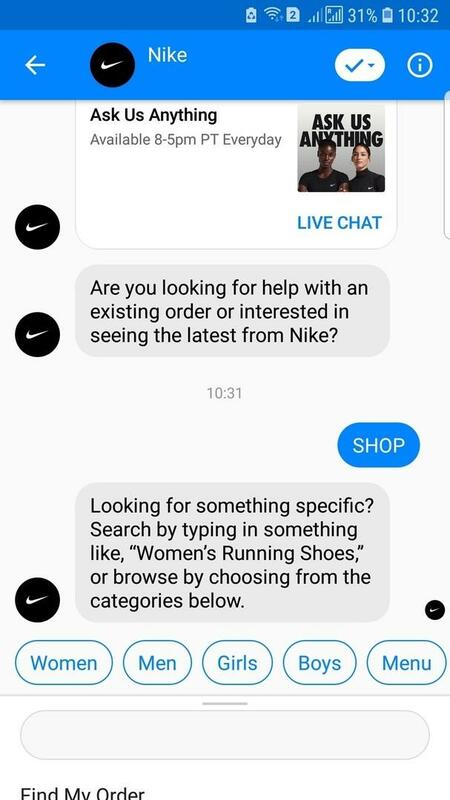 For example, Nike designed a chatbot which asks users a few basic questions to understand their preferences and then provides them with the most relevant options. It makes visitors feel like valued customers and also helps them to make a buying decision faster. Today, your clients can resolve some basic issues without contacting a customer support assistant. Perfectly designed chatbots can provide users with valuable content related to frequently asked questions in just in few seconds. A chatbot can help your buyers save time and foster loyalty to your company. In contrast to real employees, Messenger chatbot helps clients to resolve issues with order placement or product delivery 24/7. This is one of the major reasons why most modern users prefer to contact a company via chatbots. People simply don’t like to waste their time waiting for an answer from a busy customer support assistant when they can receive immediate assistance from a chatbot. If you create fresh content daily and want to find a way to share it with your target audience, then Messenger chatbot is the best option to choose. In fact, this channel works twice as effectively as email, because it makes communication more intimate and personalized. 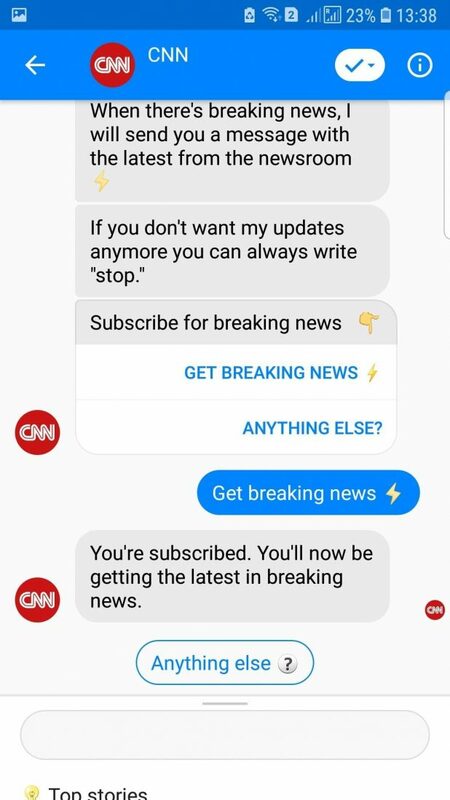 News-based magazines and television channels widely use Facebook chatbots to send new content directly to customers. For instance, CNN’s chatbot offers a subscription on different kinds of content: daily update, breaking news or articles related to a concrete topic. It helps to build an accurate subscription list and provide customers with interesting relevant content at the right time. If you have already decided to start using a chatbot, you should know how to do it right. Check the following tips, which will help you to avoid the principal mistakes and boost your content marketing efforts. Communication with your target audience shouldn’t look like friendly chit-chat. It should be more like a meaningful discussion of topical issues with an expert. A chatbot should play the role of a virtual specialist able to resolve any problem. If your customers reach your company via Facebook, they really need your professional assistance. For this reason, every message sent by a chatbot should contain valuable and helpful information. You can also add a relevant link to your website, blog or a file to download. If your client has stopped answering, a robot shouldn’t continue to send new messages. If customer problems cannot be resolved using Messenger, they have the option to contact your company later by phone or email. But, if you continue sending messages like “Are you still here?” and “Do you still need my help?” you will simply annoy them. A customer should feel like he is talking to a real person, not to a robot. For this reason, you should design a framework, which includes not only polite questions and answers, but also some emotional trigger phrases. If you want to make your chatbot more like a human, it should be able to express different feelings from surprise and excitement to sympathy and compassion. First contact with your potential client should start with a personalized salutation. Depending on the concept of your brand, you can call your client by name or by surname. If brand loyalty is important to you, you should do your best to make the user feel like one in a million. Chatbots should demonstrate a high level of literacy, just like your human employees. For this reason, you should proofread all chatbot responses. In other words, if you don’t want to let spelling mistakes spoil your content marketing strategy, you should ensure the high quality of every message. Some clients are not able to express their thoughts clearly. 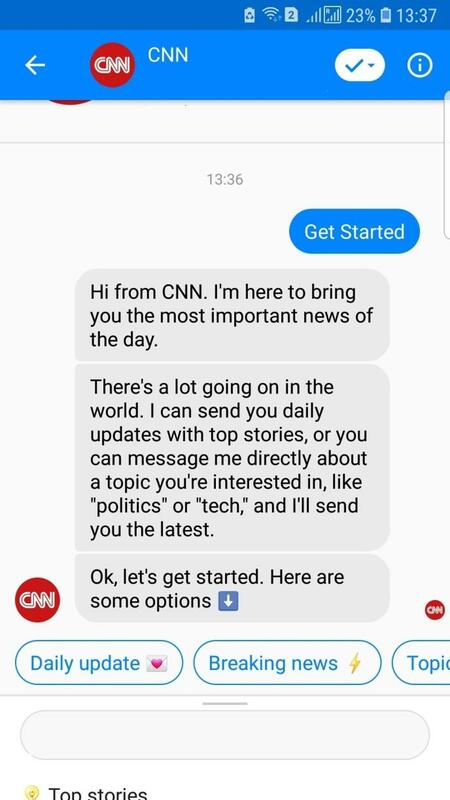 This is a common reason why chatbots can’t accurately identify a topic of discussion and provide customers with relevant answers. When you add reply buttons, however, you significantly facilitate the communication process between humans and a robot. Buttons will help your customer to navigate through the conversation and find desirable content in a hassle-free way. Facebook Messenger chatbots can not only boost content marketing efforts but also increase overall productivity. The only trick is to learn how to design and incorporate a chatbot in the right way to get the most benefits. If you want to bring change to your company, don’t hesitate to use new technologies and modernize your way of doing business. Bridgette Hernandez has a master’s degree in Anthropology and a bachelor’s degree in Digital Marketing. She is an editor at HotEssayService and a blog writer at SupremeDissertations. Currently, she is working on a book, which will help young entrepreneurs to launch their first marketing campaigns successfully. Bridgette always bases her writings on qualitative researches and knows how to present even the most sophisticated results in a simple form.